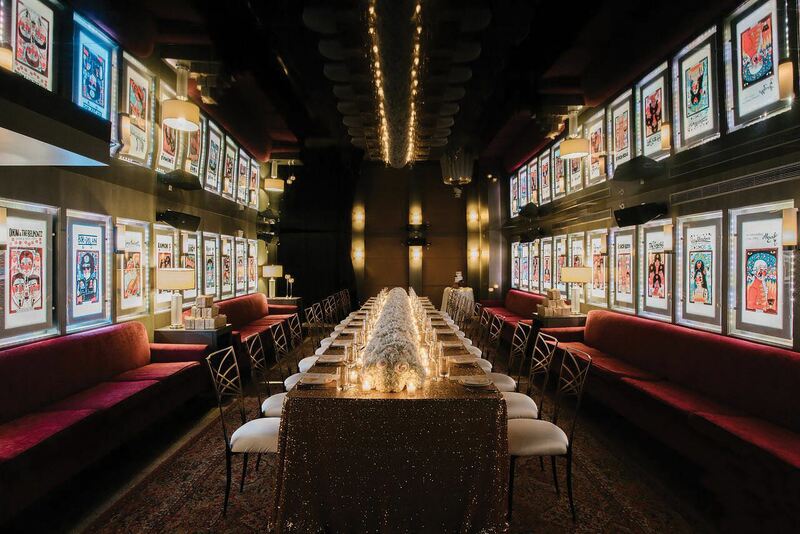 From sun-splashed outdoor locations to cozy private dining rooms, to the sultry glamour of a modern-day subterranean speakeasy, for every type of event, there’s a magical, thoroughly memorable venue at The Betsy. 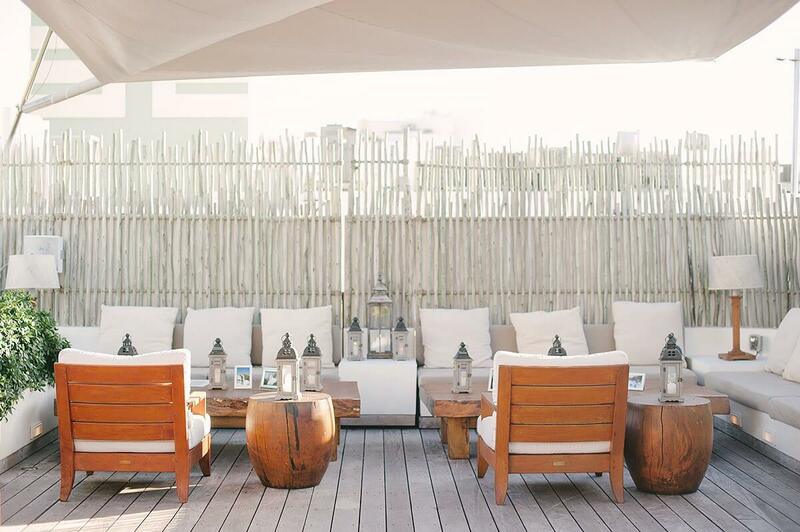 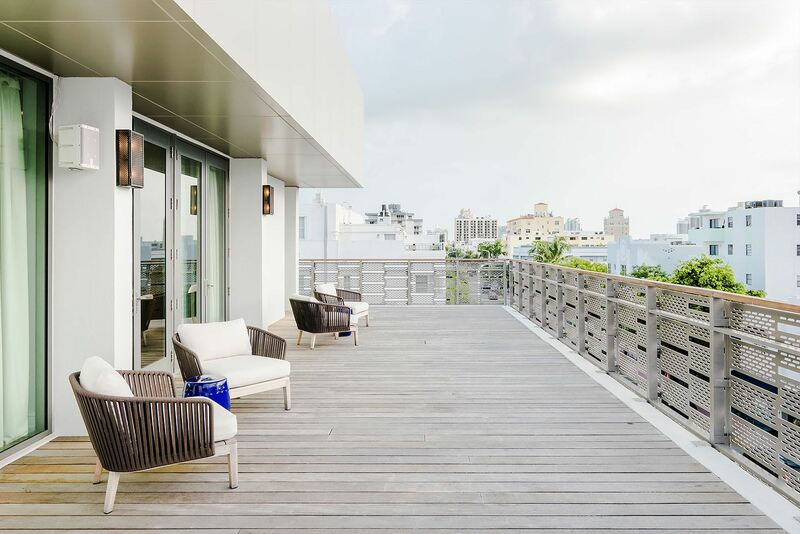 Our exclusive Ocean Front Deck is one of the most intimate and unforgettable spots in South Beach. 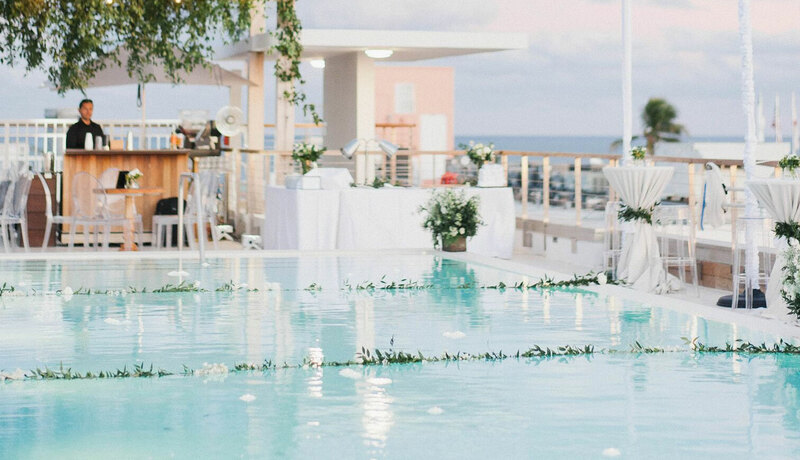 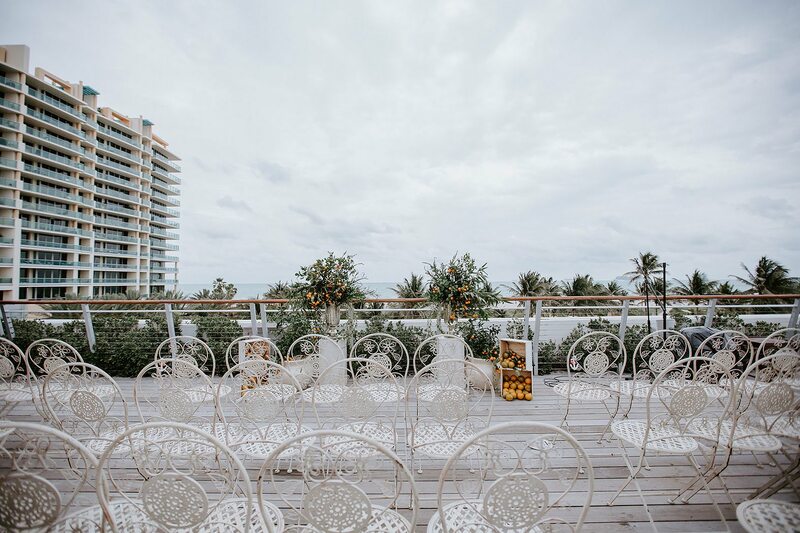 Offering stunning views of the Atlantic, it is an ideal setting for private events, intimate celebrations, weddings and corporate gatherings, it accommodates up to 200 guests. 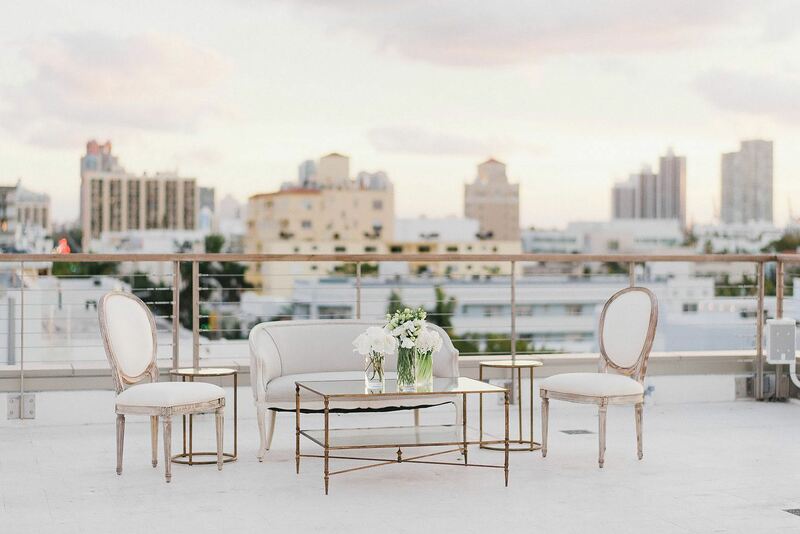 Designed with a hint of vintage glamour, B Bar offers an exclusive venue catering to those who seek an upscale, discreet setting. 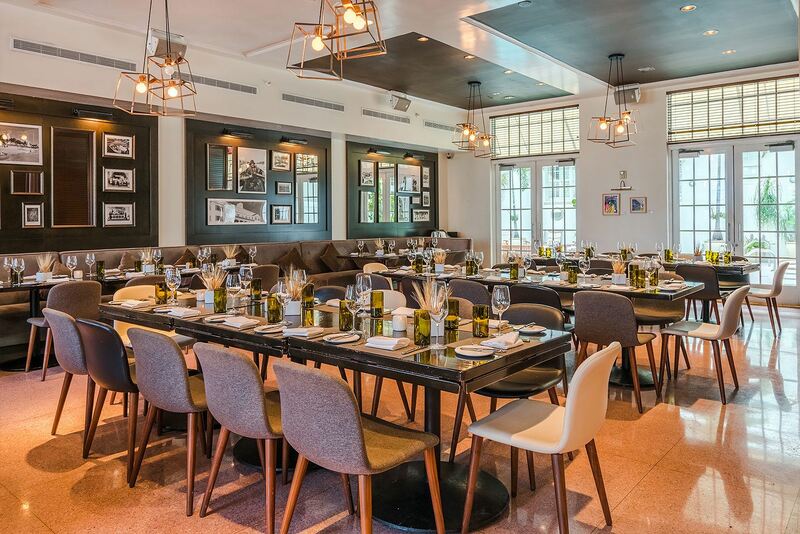 B Bar, will accommodate up to 50 people for a sit-down dinner, or up to 90 for standing cocktails and hors d'oeuvres. 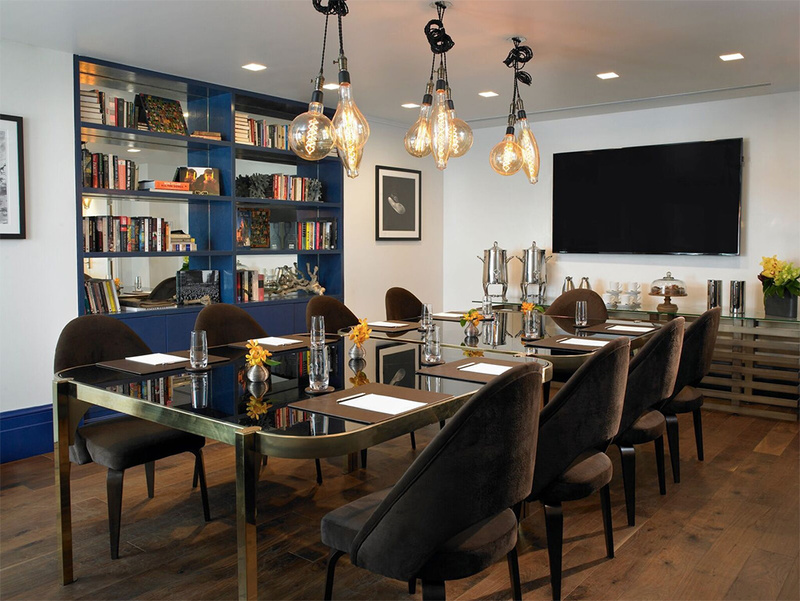 For meetings, B Bar offers an exclusive venue for up to 60 people, featuring a state of the art sound system, built-in and portable flat screen TV's for versatile screening presentations and customizable light boxes for one-of-a-kind branding. 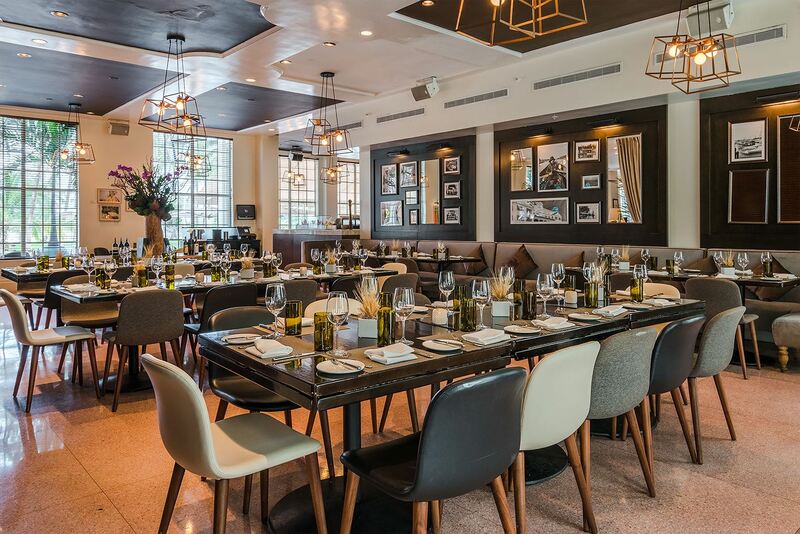 Light and airy, our LT Steak & Seafood pairs its exquisite setting with equally exquisite cuisine. 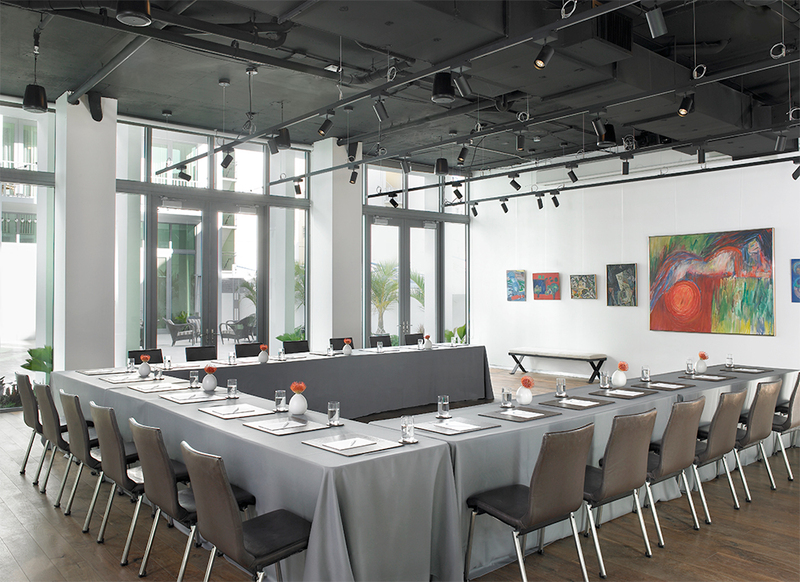 This divisible space accommodates up to 150 guests for reception-style gatherings and 120 for seated dinners. 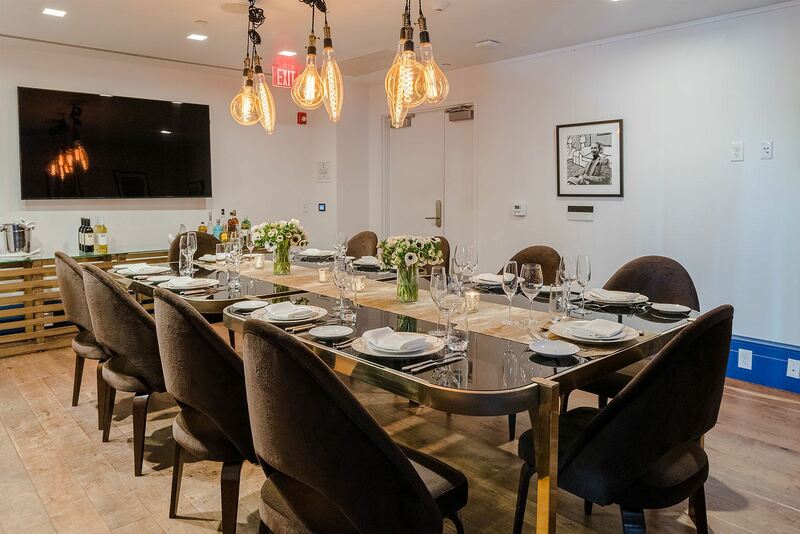 A separate, semi-private dining room just off the restaurant’s main dining room accommodates up to 36 guests for seated events. 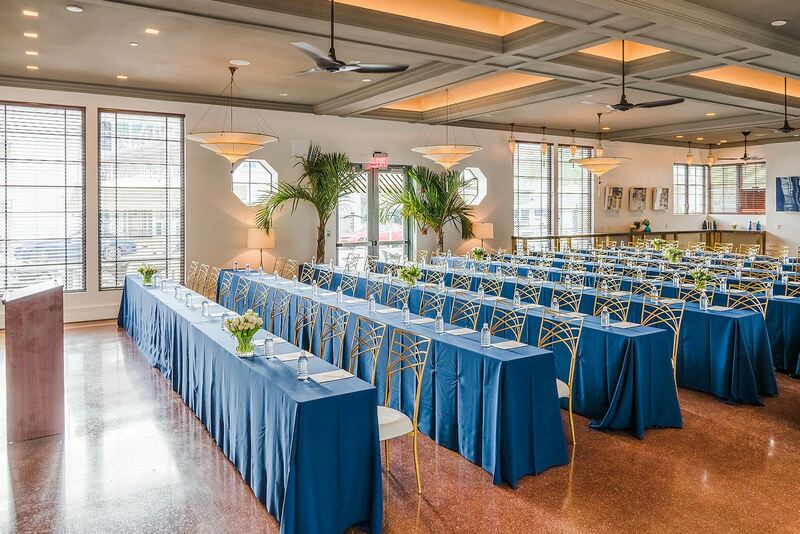 The Lobby Bar accommodates up to 125 guests for passed hors d’oeuvres, light dinner buffets, cocktails, coffee and desserts – all prepared by LT Steak & Seafood's award-winning culinary team. 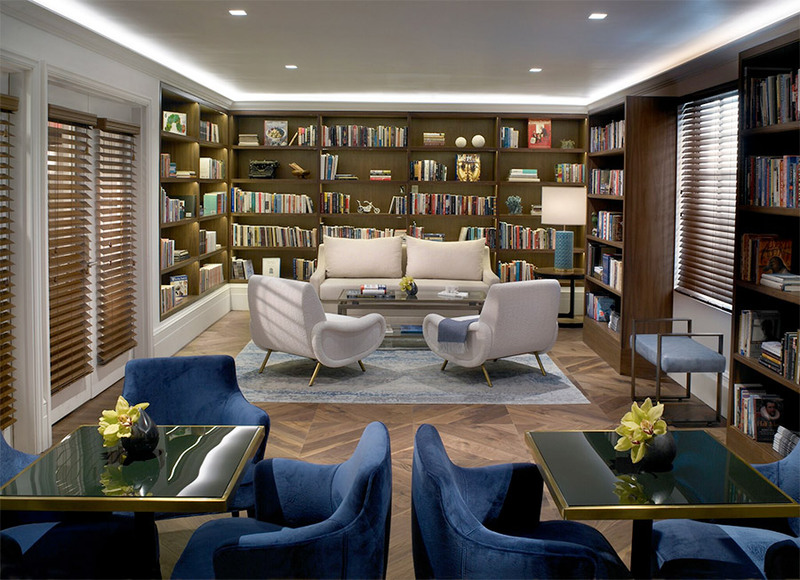 State-of-the-art audio-visual is available. 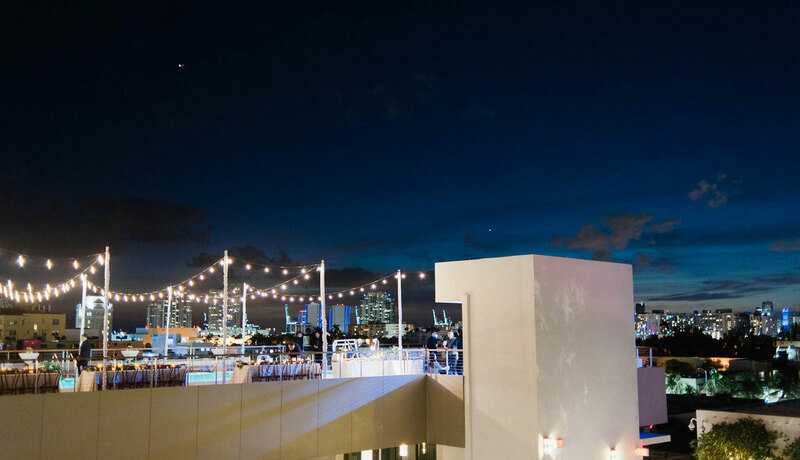 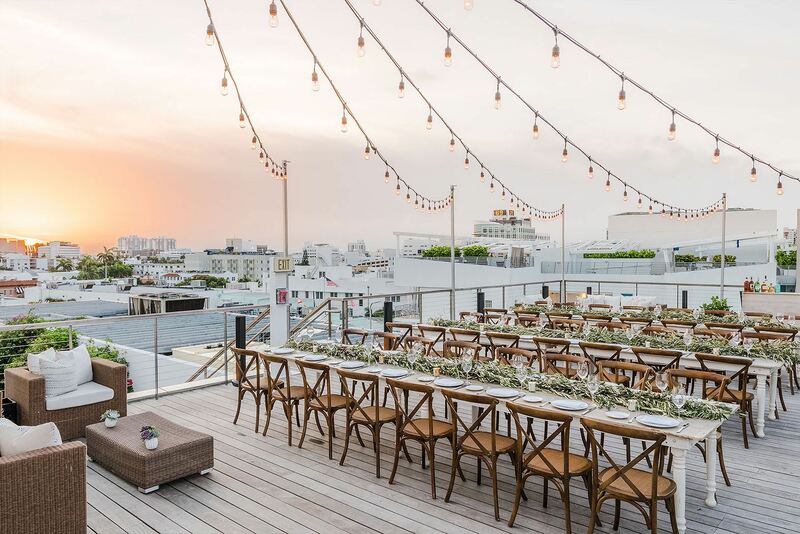 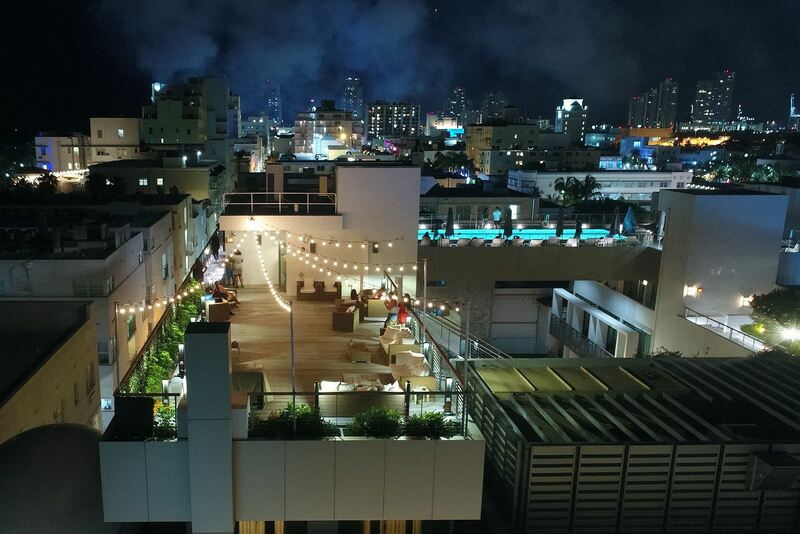 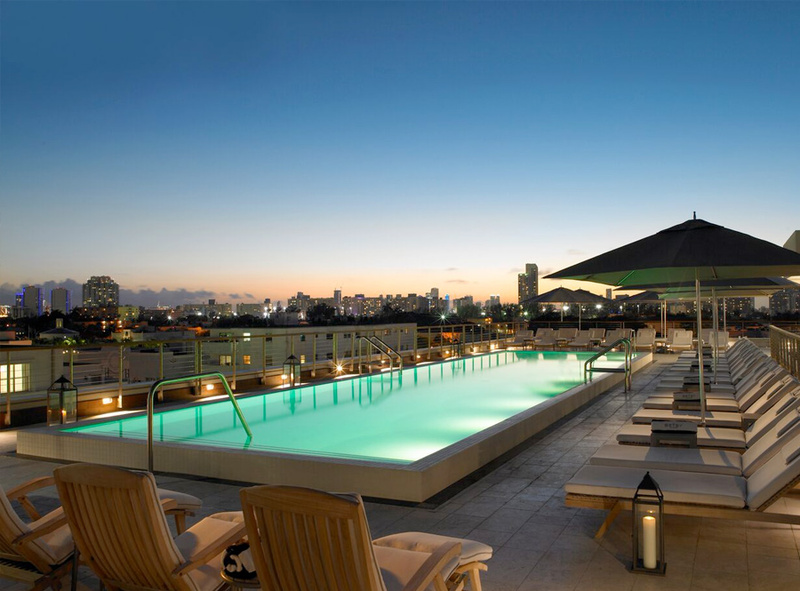 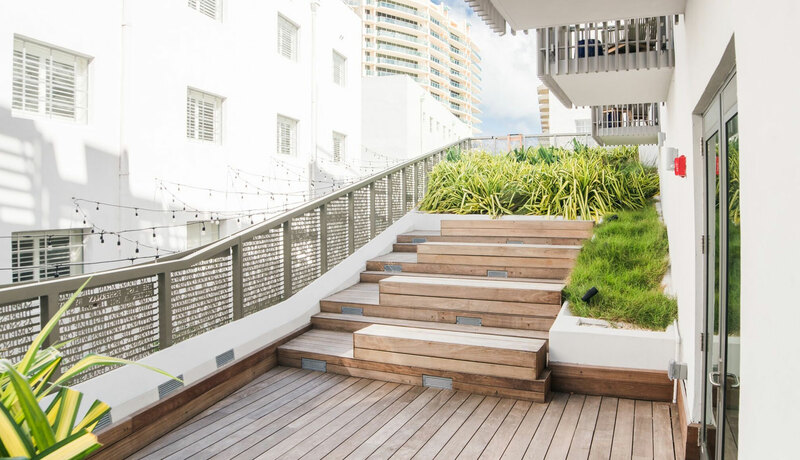 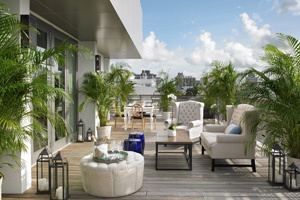 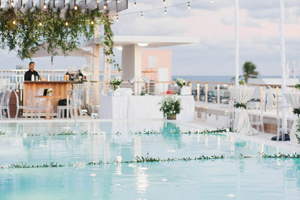 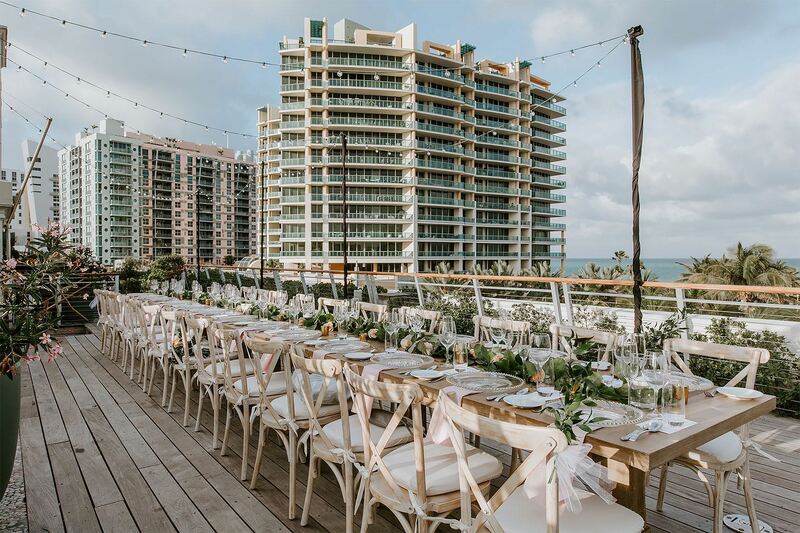 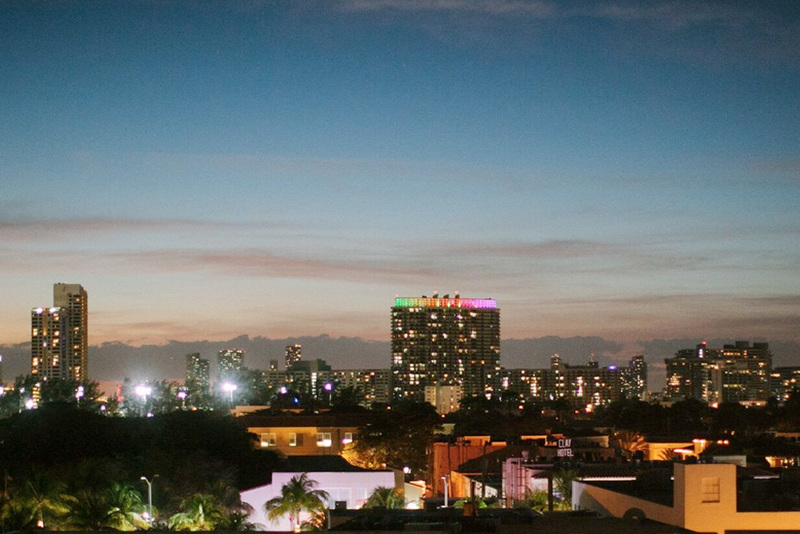 The Betsy’s Skyline Deck is for up to 120 guests and is located on the highest point of the Art Deco Wing, and provides unforgettable 360-degree sunrise and sunset vistas of the Atlantic Ocean and the City of Miami Skyline. 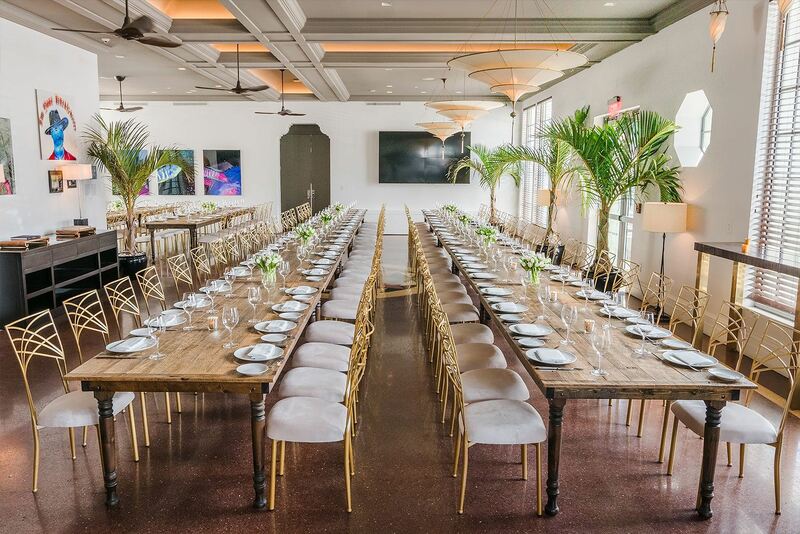 As a large flexible catering space, patrons can use existing furniture or completely transform the space with innovative design and rentals. 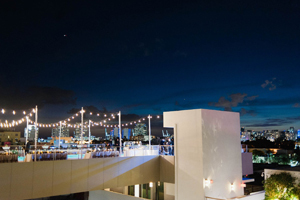 The Betsy’s Pool Deck offers beautiful east and west facing views of the Art Deco District and Miami Skyline, positioned beautifully for sunset events where poolside patrons can also enjoy unforgettable moonlit ocean reflections over the Atlantic, that are matched only by The Betsy’s Ocean View Deck. 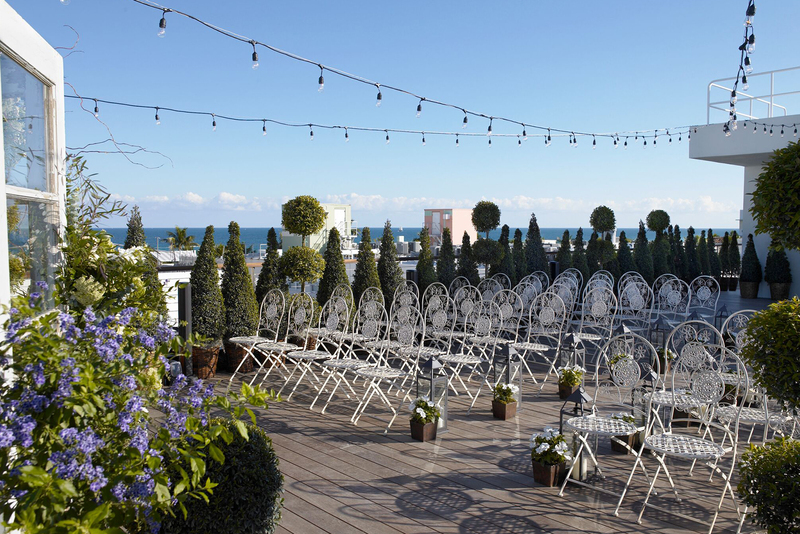 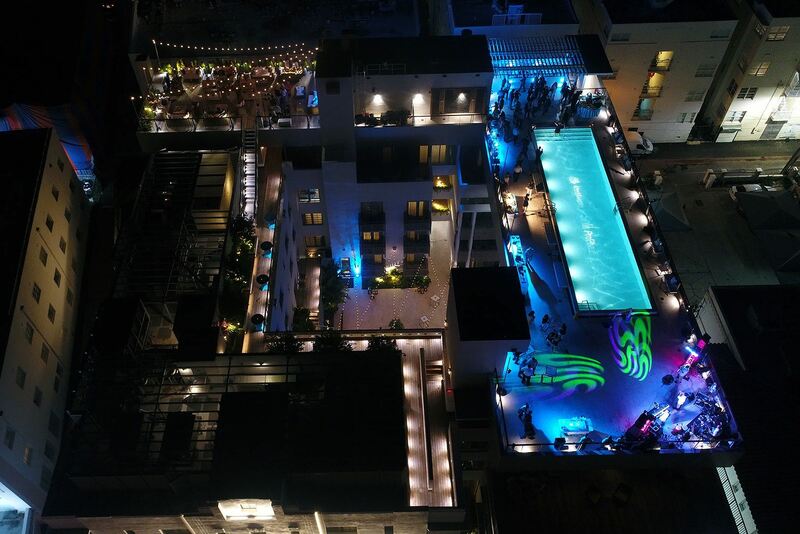 The rooftop Pool Deck can accommodate events for up to 250 guests. 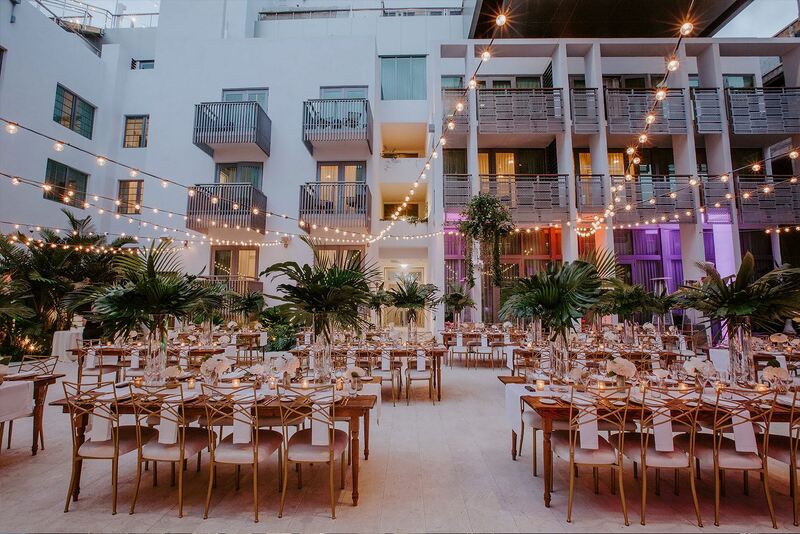 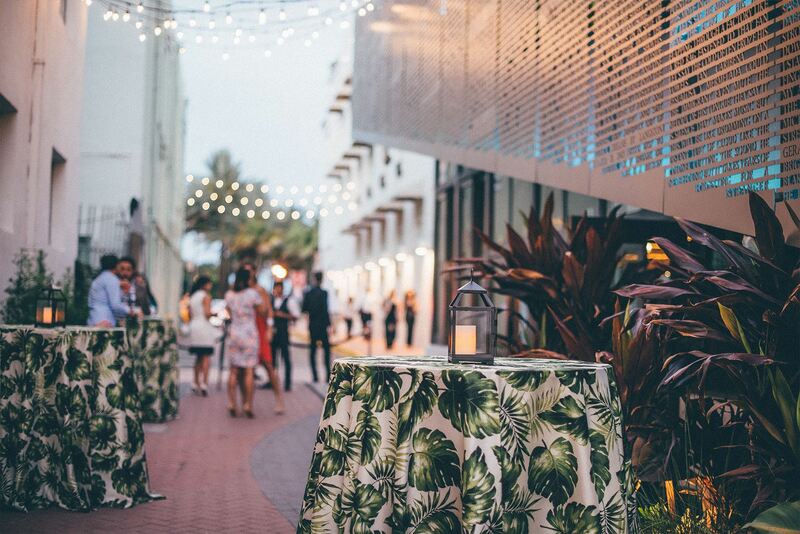 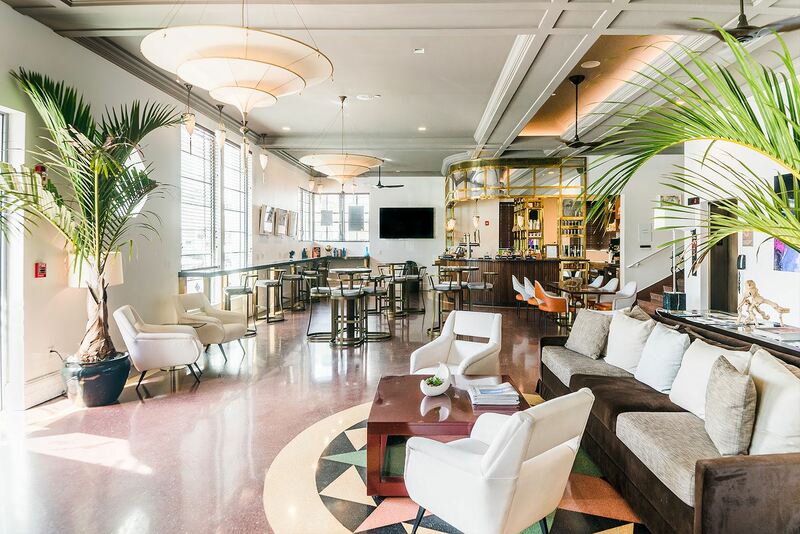 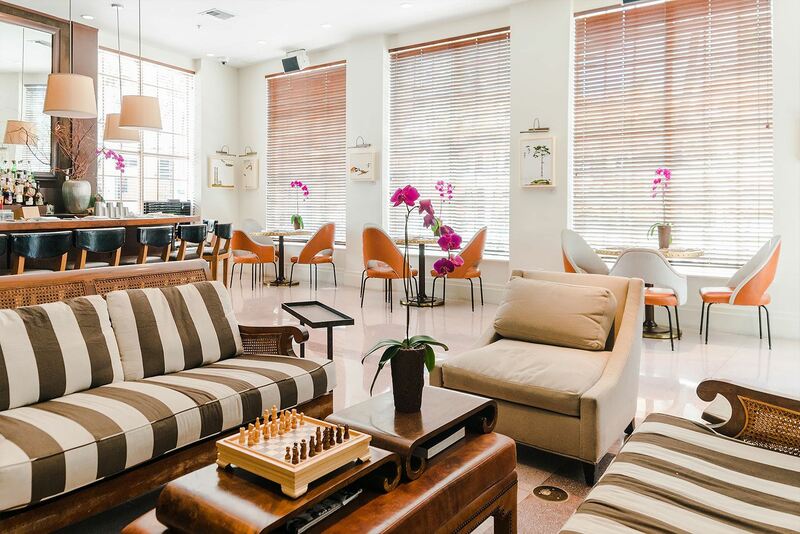 The Betsy’s Atrium offers a flexible stage, surrounded by beautiful balconies more common to European villas than to South Florida hospitality. 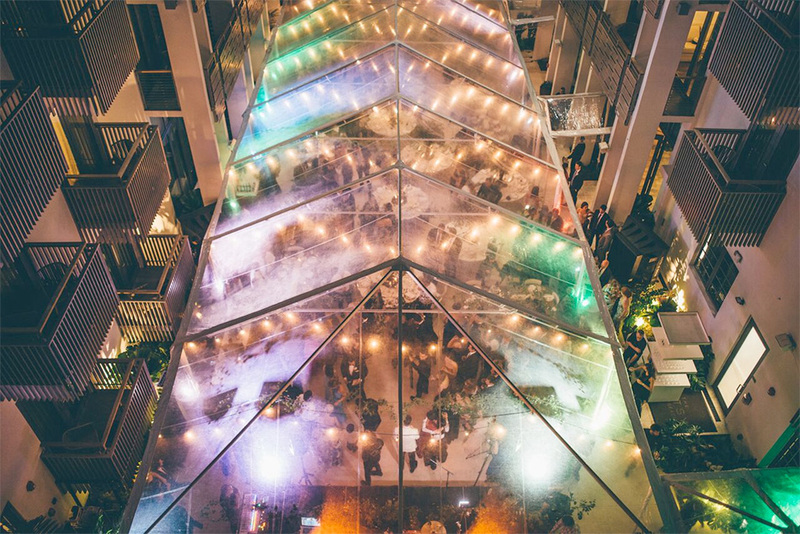 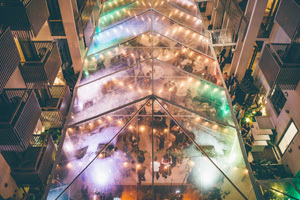 The Atrium connects seamlessly to the Gallery and Carlton Room, connected spaces that are ideal for larger flowing cocktail receptions (up to 500 guests) and formal seated dinners (up to 350 guests). 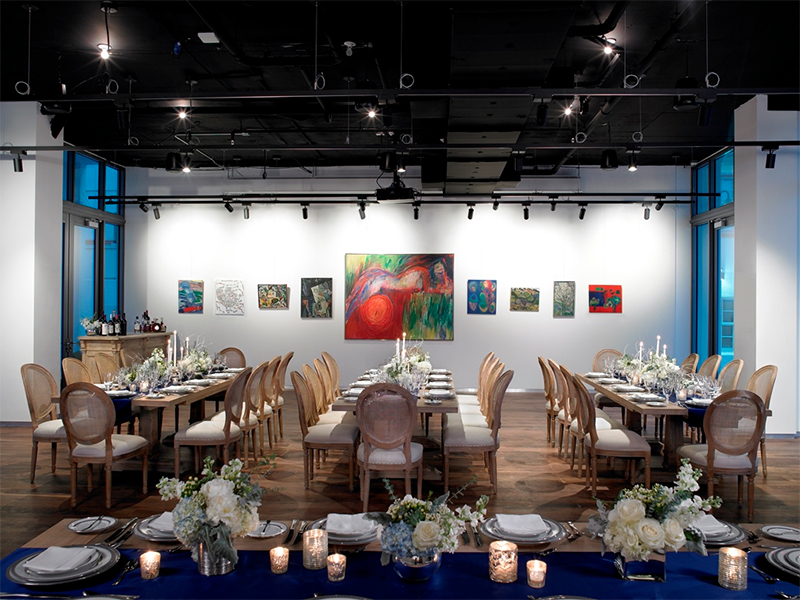 The Betsy’s Gallery boasts natural light on two sides, high ceilings, and natural wood finishes. 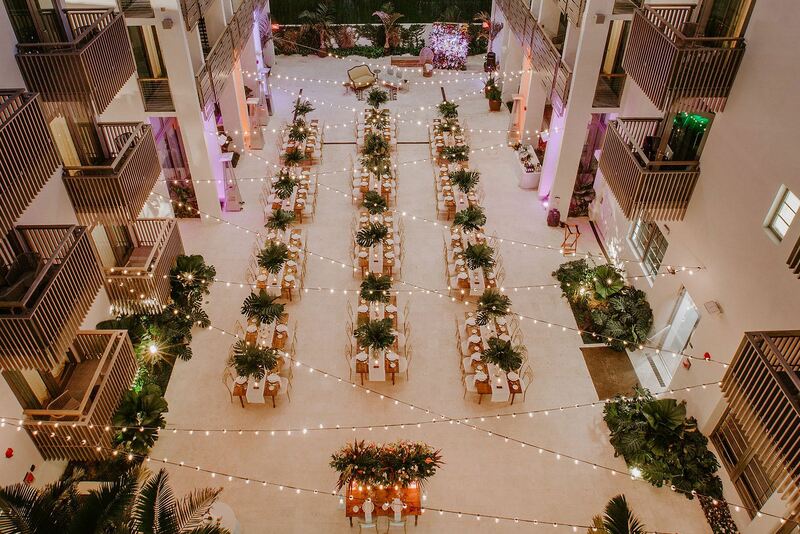 It connects to the Atrium and Carlton Room, offering smooth transition from cocktail receptions to sit down dinners, dancing, and more. 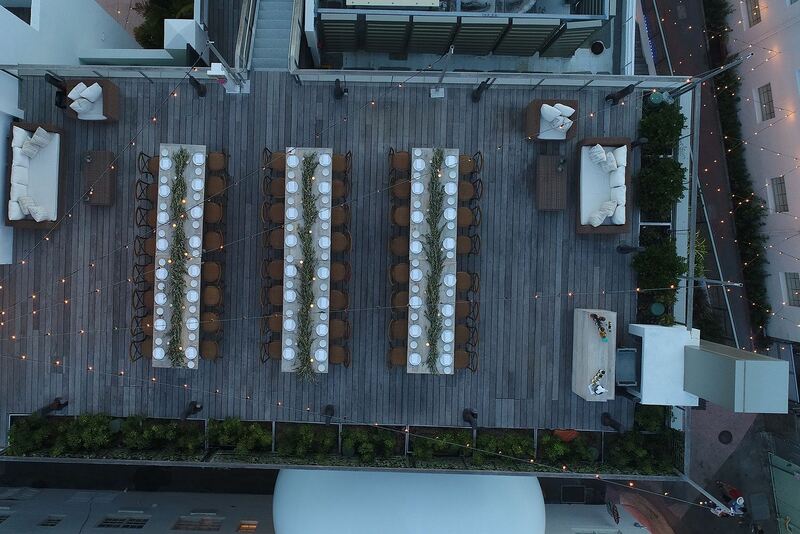 For up to 150 guests. 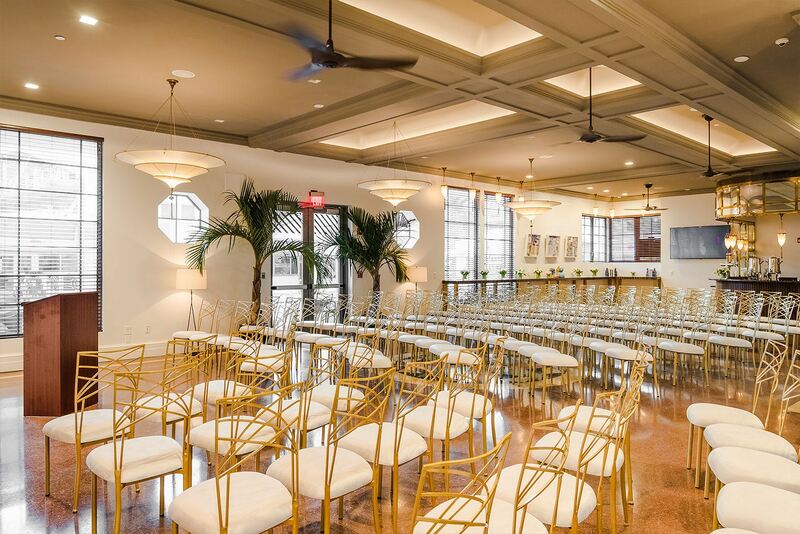 The Betsy's Carlton Room's natural light, high ceilings, and comfortable furniture create a living room atmosphere. 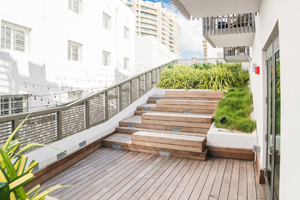 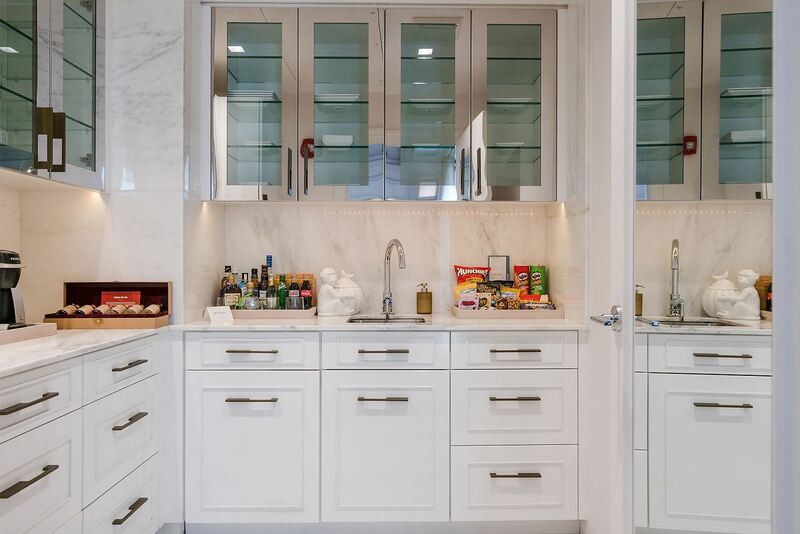 With a built-in Espresso and wine bar, Work Room, Gallery and Atrium only steps away, and direct Collins Avenue access. 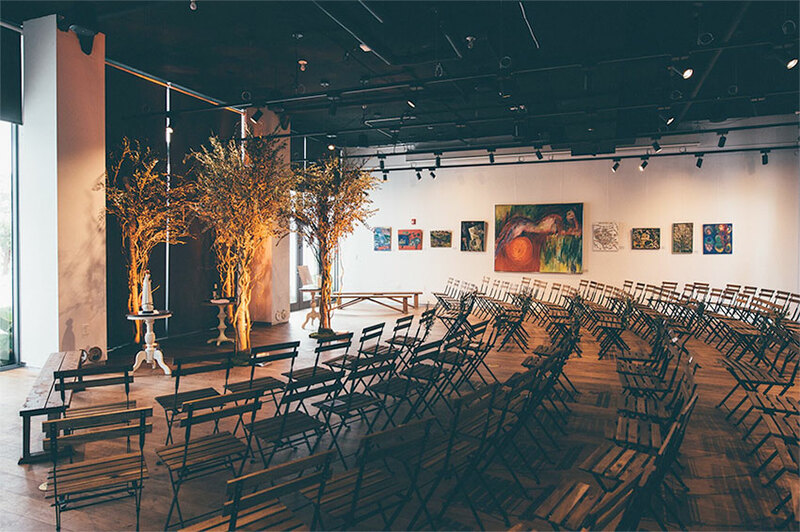 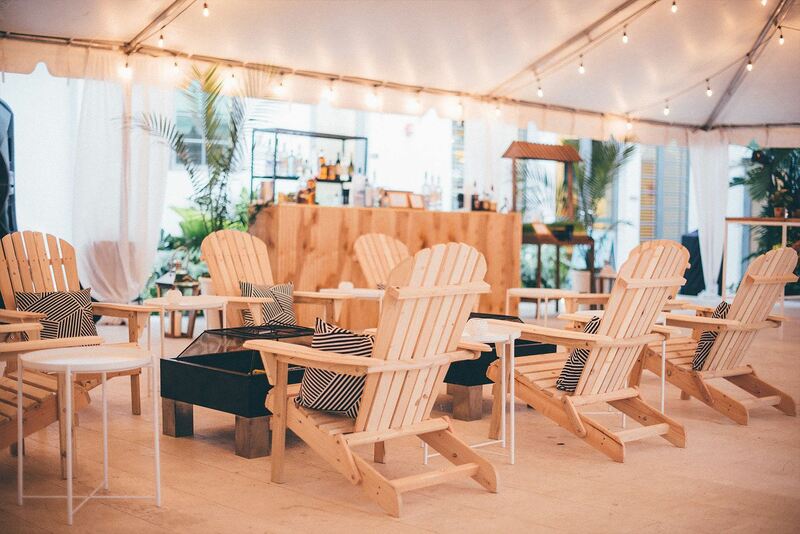 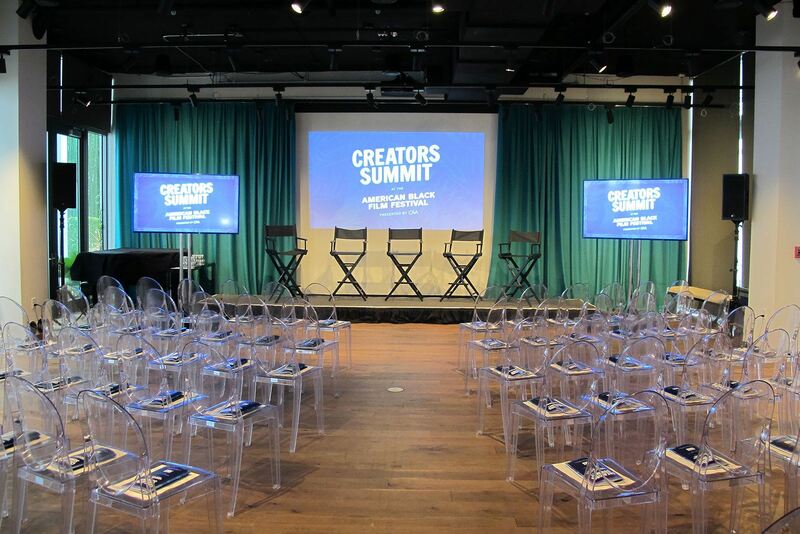 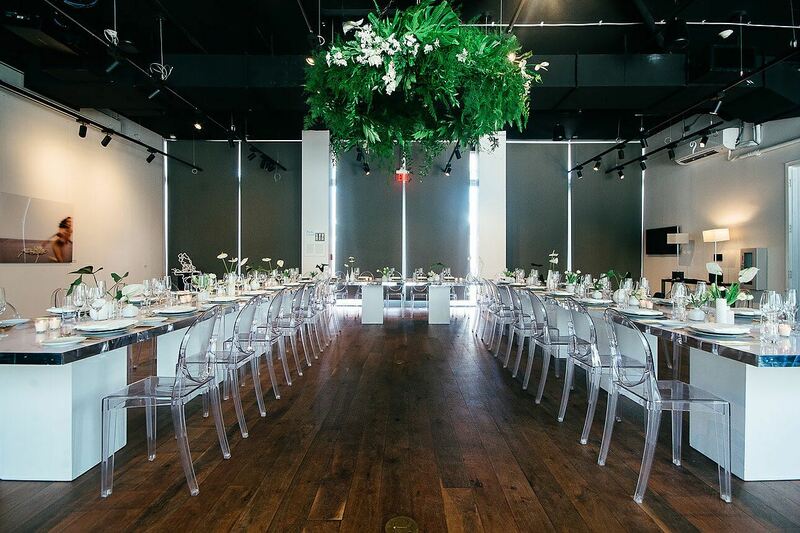 Patrons can use existing furniture or completely transform the space with innovative design and rentals – to accommodate wide-ranging events, from receptions to performances, and more. 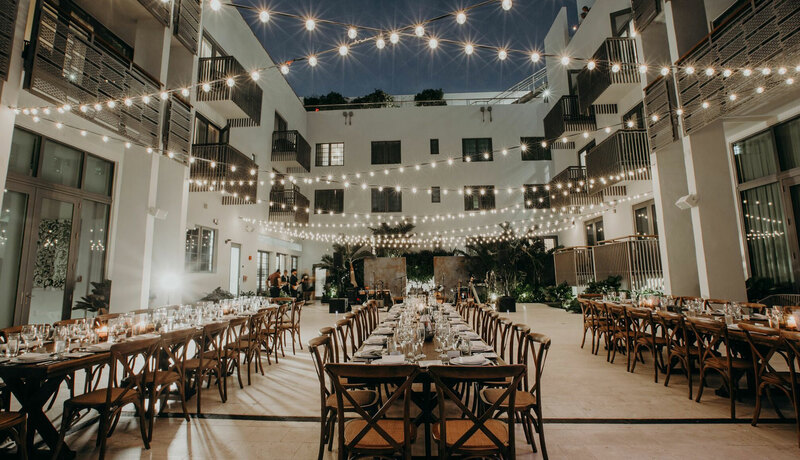 For up to 150 guests. 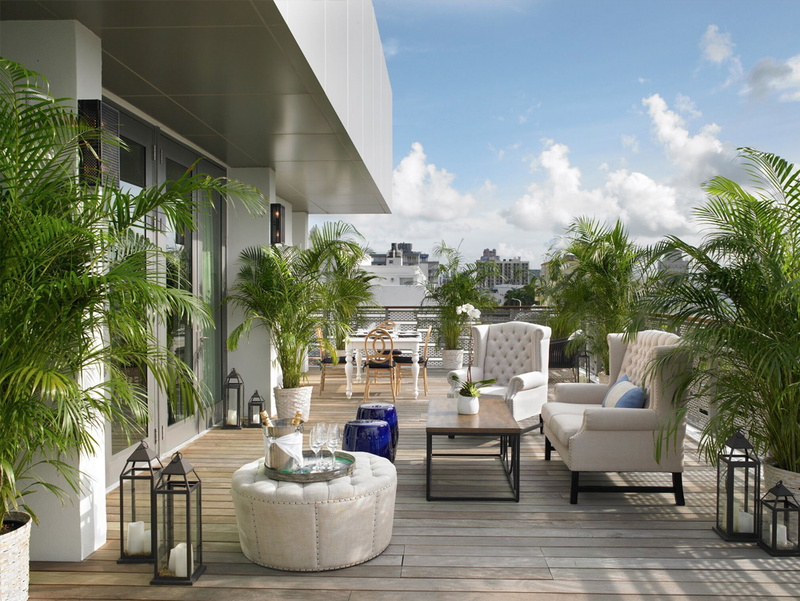 The Betsy’s Skyline Penthouse is a spacious suite, offering a sense of intimacy and privacy, with an exquisite wrap around Terrace. 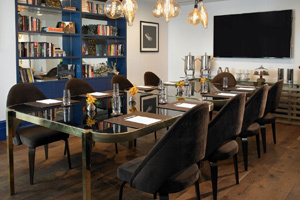 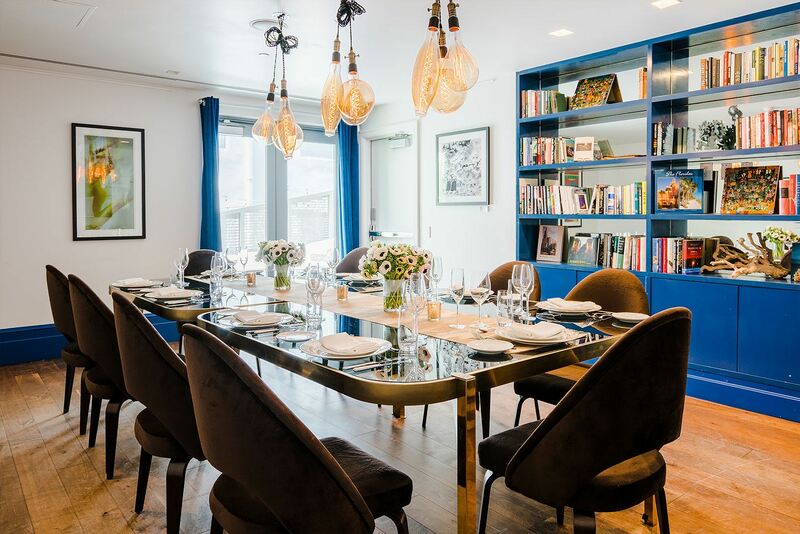 The combined spaces are ideal for private receptions up to 50, and for discreet VIP retreats. 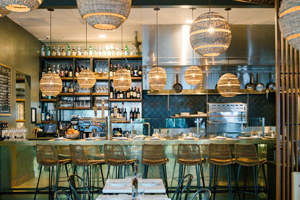 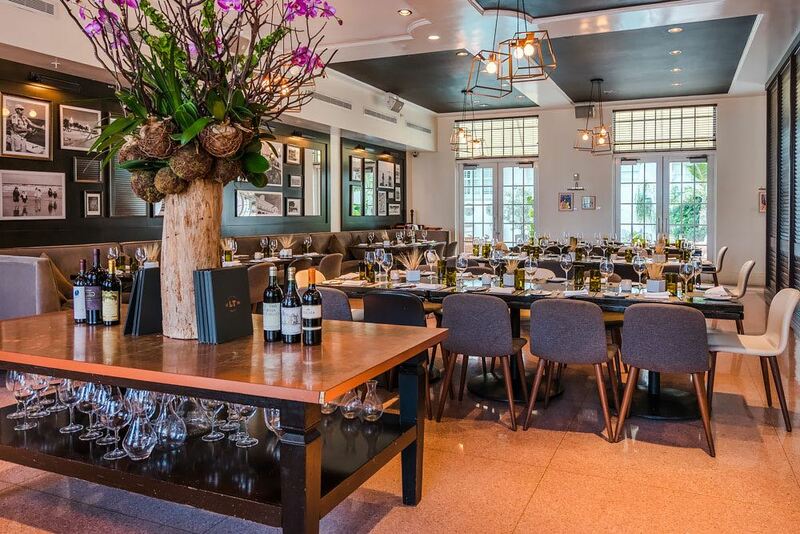 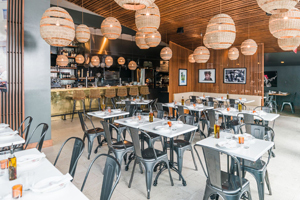 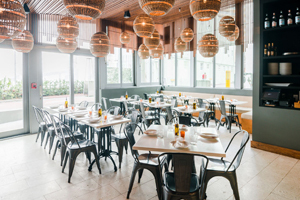 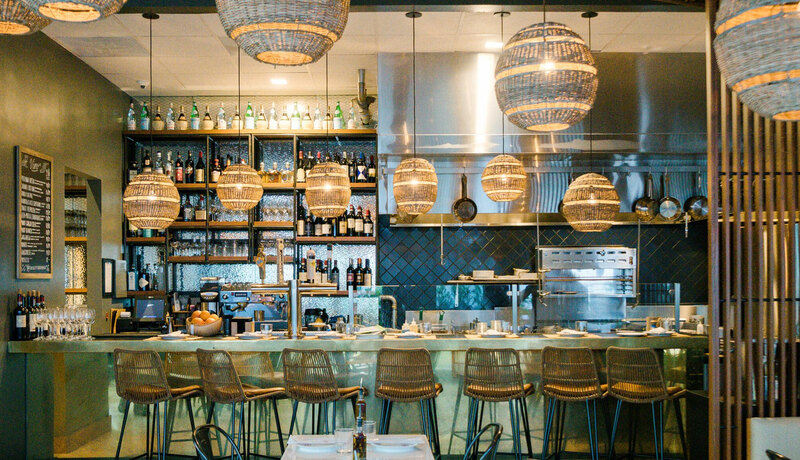 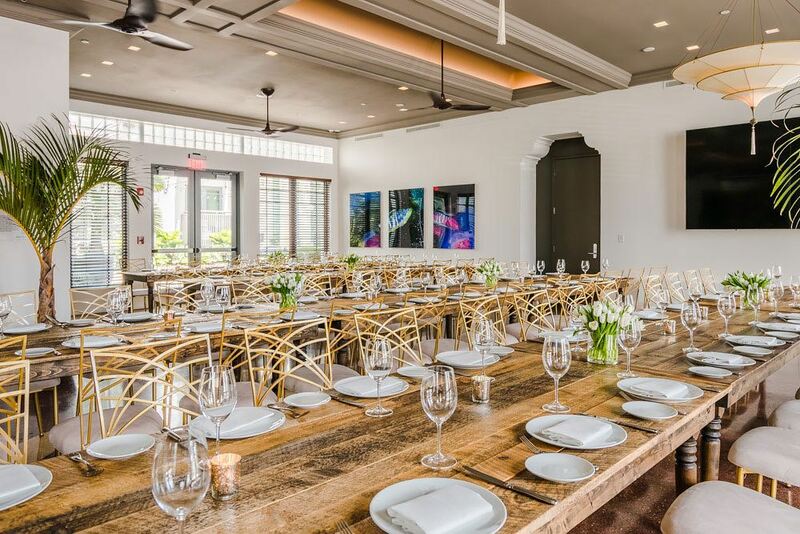 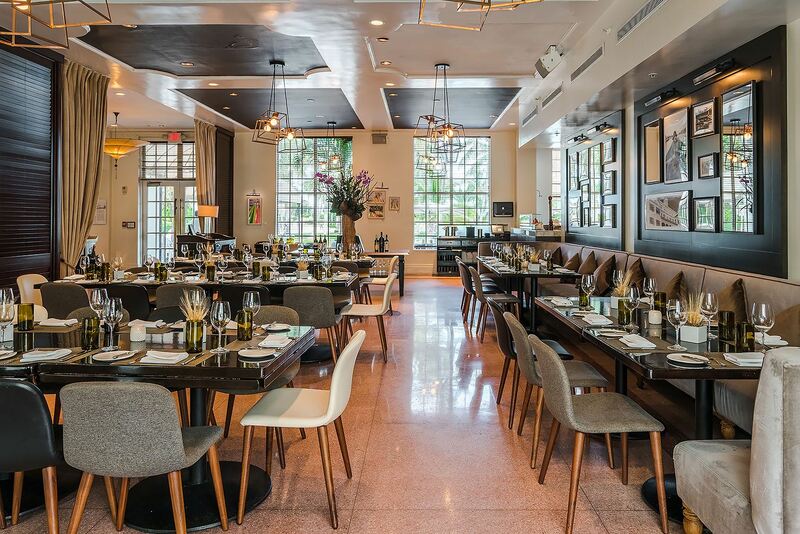 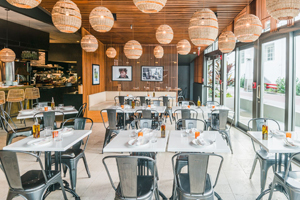 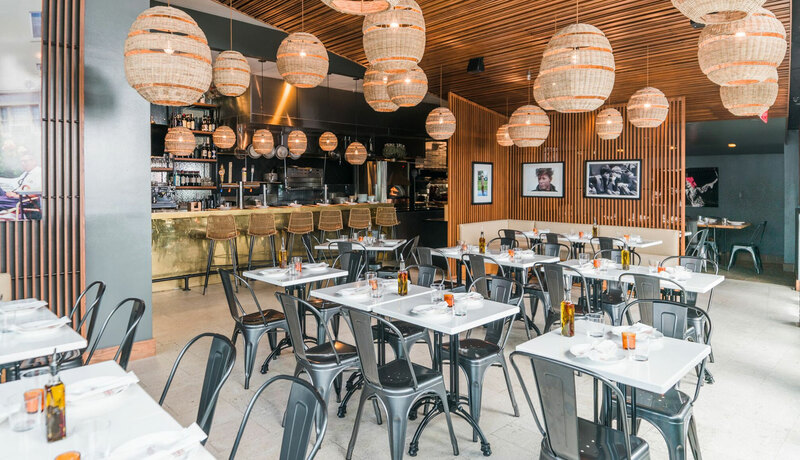 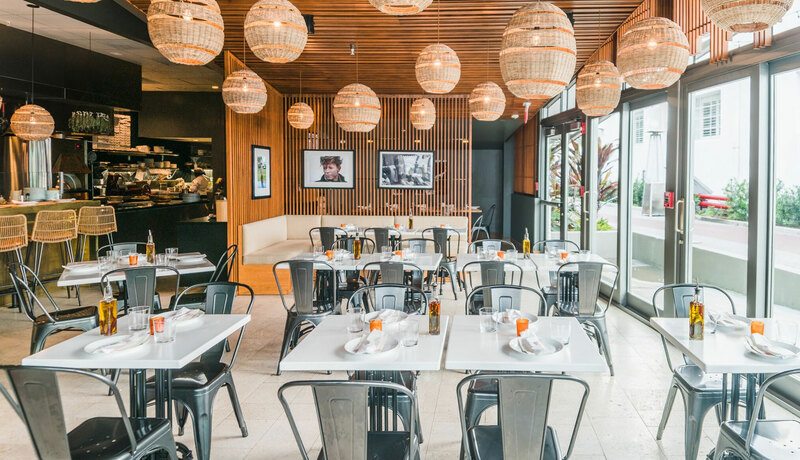 The Alley Pizzeria, The Betsy's second major restaurant with cuisine by Laurent Tourondel is an intimate 36-seat restaurant, with an unforgettable gateway featuring the work of thirteen poets that shaped Miami’s literary legacy, including Langston Hughes, Campbell McGrath, Richard Blanco, and Mohamed Ali, among others. 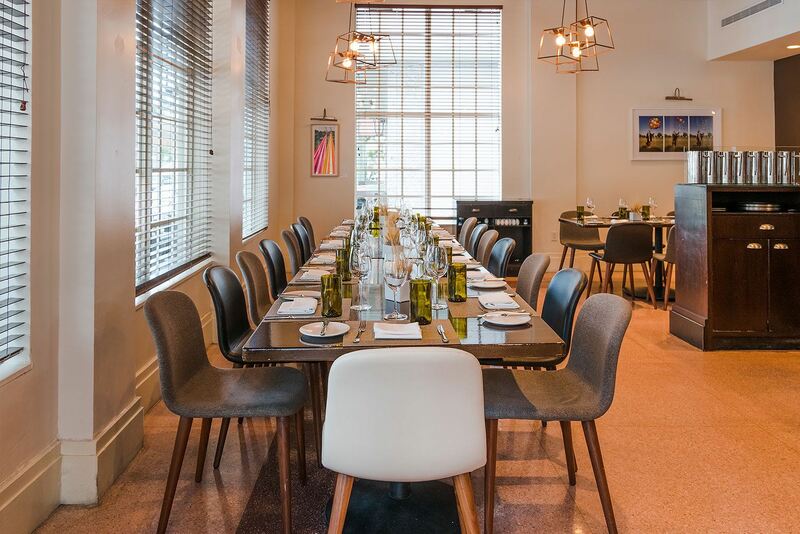 The space is available for private events. 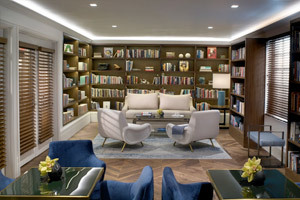 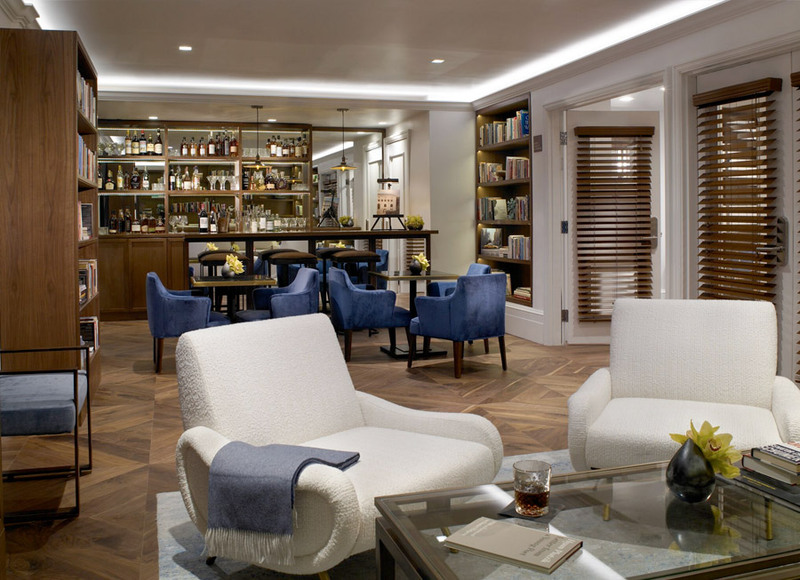 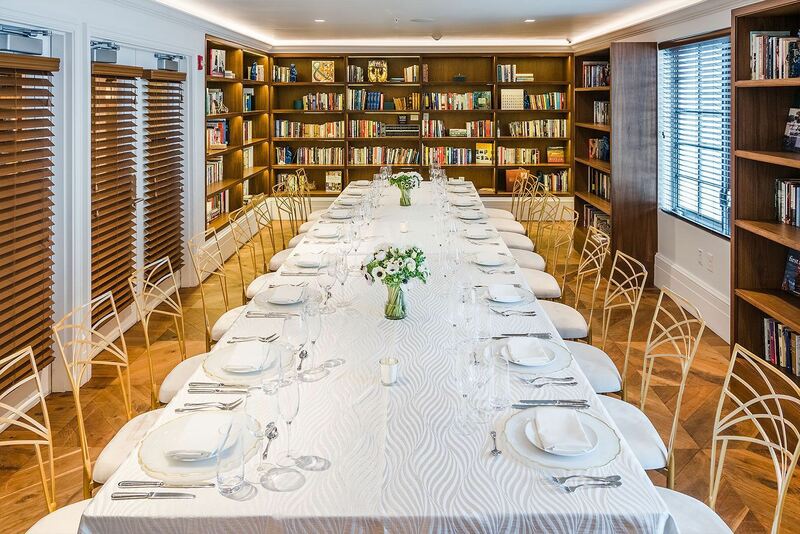 The Betsy’s Library, designed in homage to historic library traditions, champions the book collections contained in private guest spaces throughout the hotel. 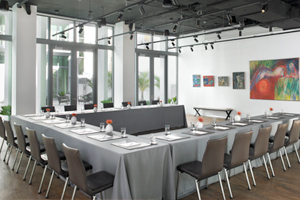 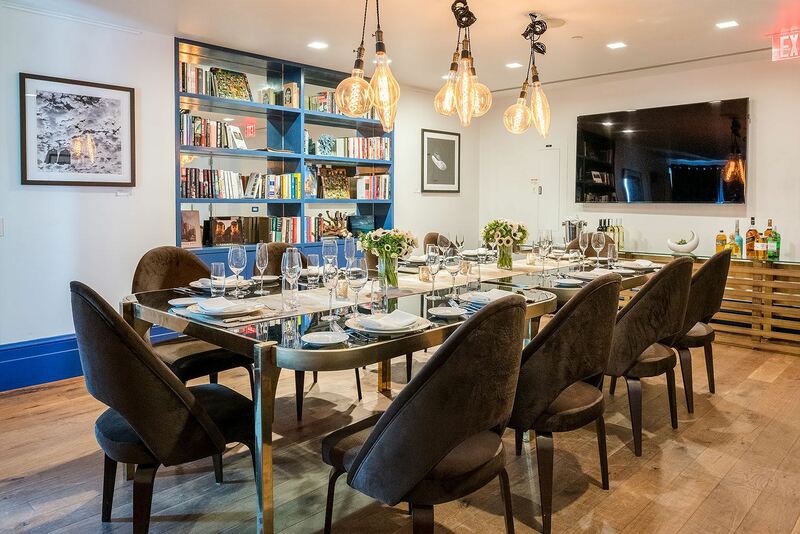 Up to 25 people can gather in this space for a retreat, meeting, or private dinner. 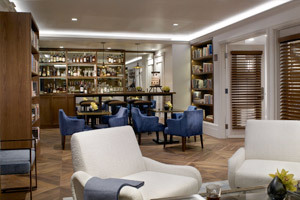 The Library also contains a bar which can be stocked for special events. 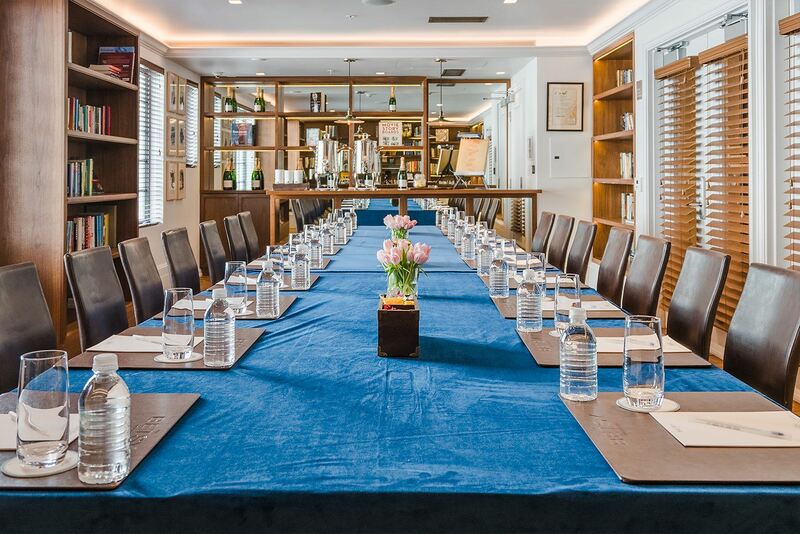 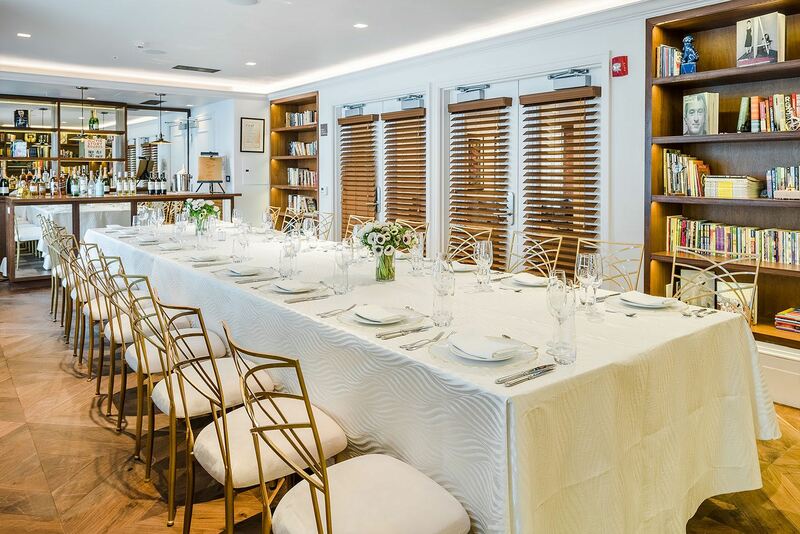 The Betsy’s Boardroom, both a traditional board meeting environment and a communal meeting space is easily accessible from The Alley and The Carlton Room, and connects directly to an outdoor break out space. 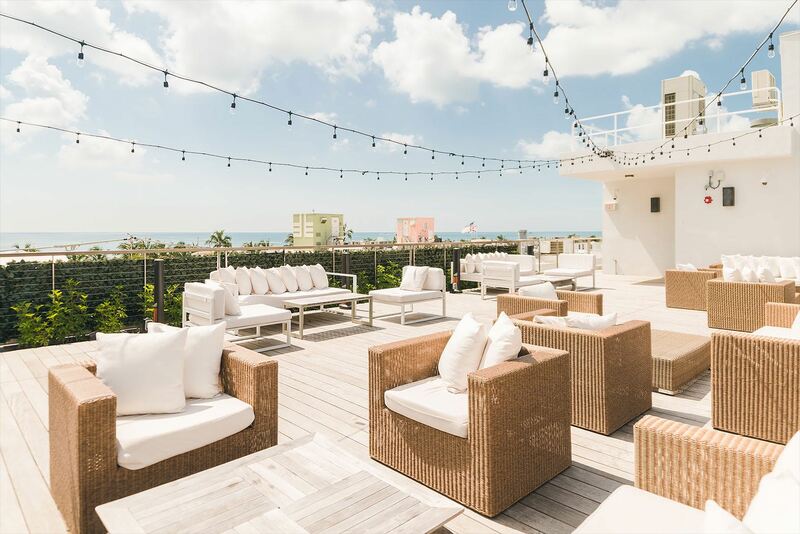 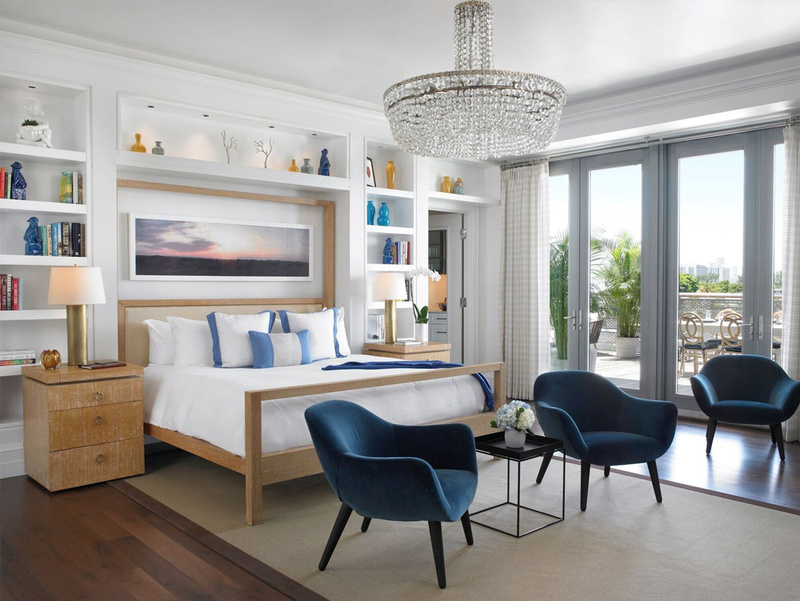 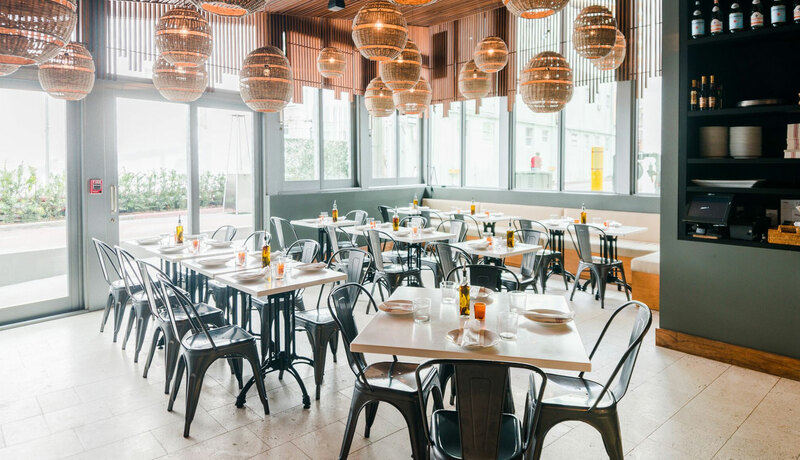 Perfectly positioned along Miami's famed Ocean Drive, The Betsy - South Beach is a beacon of relaxed elegance and vintage glamour.